Kendra Krueger has written 18 articles so far, you can find them below. 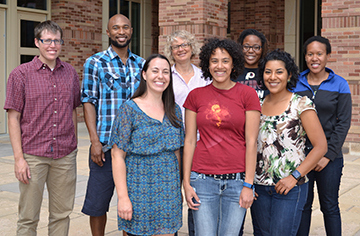 (Starting at 6:30) FLOWS bridges social justice and environmental issues. FLOWS provides leadership training opportunities, green job skills, and free energy and water upgrades while building partnerships between CU students and staff and community members. They partner with and work primarily for low-income communities for water and energy conservation (the communities most in need of lower energy and water bills). They joined us to talk about their new training program coming up this May. Find out more about their program here . (Starting at 20:14)Michael Skirpan is a PhD candidate at the University of Colorado Boulder in the Computer Science Department. He worked with a collaborative team to create a project called quantified self, an immersive data experience that debuted the last weekend in April. Listen in to hear more about this half performance-half data experience and find out when it will be happening again here. Interview with LIGO Scientist Dr. Matt Evans (6:22): The recent big news in physics was the announcement of the first direct detection of gravitational waves. 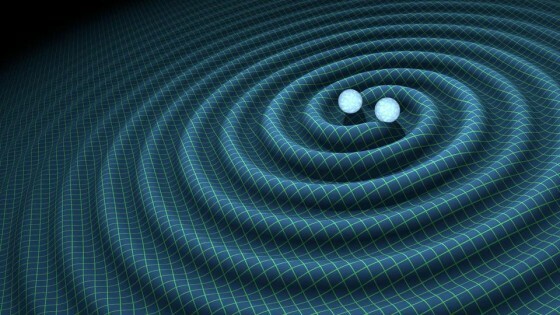 The detection was made by the LIGO project, which stands for “Laser Interferometer Gravitational-Wave Observatory”. Reports have said that this is a confirmation of general relativity and a new way to view the universe. To help us understand that, and why this is such a significant achievement, we have on the phone Dr. Matthew Evans, an Assistant Professor of Physics at MIT. Dr. Evans is a member of the LIGO Scientific Collaboration and the chair of the Advanced Interferometer Configurations working group. His research focus is on gravitational wave detector instrumentation, and the fundamental sensitivity of gravitational wave detectors. And here you can see the signal and hear the “chirp” of a graviational wave! Today we had a terrific show with two local guests. First, Sarah McQuate, Post-Doc at the University of Colorado joins us to talk about CUCafe, a student run group committed to creating dialogues and safe spaces for underrepresented student on campus. We talk about their role in the most recent Inclusion and Diversity Summit on campus along with their on-going efforts and events. 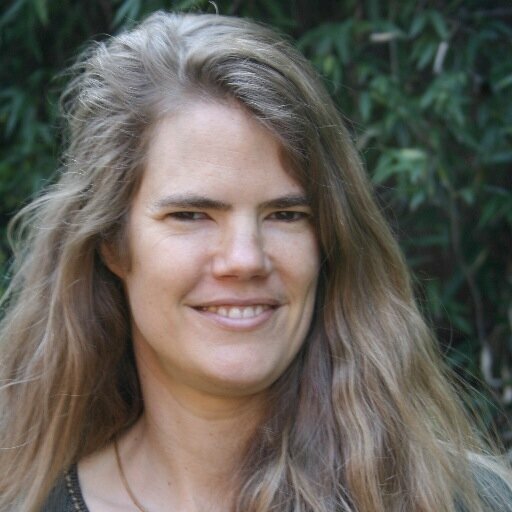 Next, Julie Rehmeyer, a award-winning science tells us about her experience as a math graduate student at MIT and her investigative research into Chronic Fatigue Syndrome. These two stories form interesting connections as we discuss the meaning of intuition; a skill that is acknowledge as powerful in the mathematics community but not necessarily cultivated or nourished. Additionally, Julie finds resilient solutions using her analytical and intuitive skills when enduring a incapacitating experience with Chronic Fatigue Syndrome, treatment for which is scarce and poorly understood in the scientific community. What do Enzymes and photosynthesis have in common? Both are biological process that happen to rely on quantum mechanisims. That’s right, particles tunnling through walls, shifting between particle and wave states: The weirdness of the quantum world isn’t as isolated as we once thought. 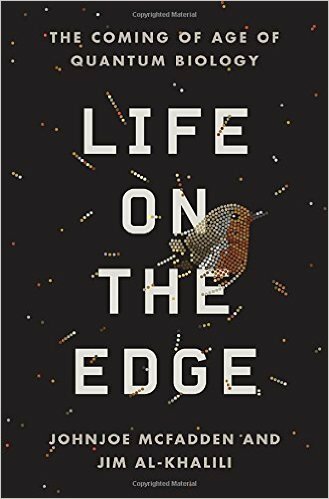 This past summer Life on The Edge, a book about the frontiers of quantum biology was released to US audiences. 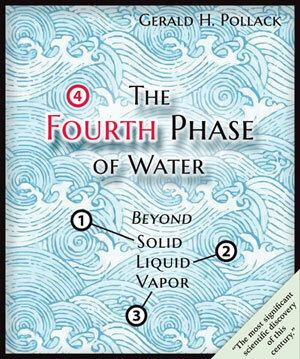 How on Earth corespondent Kendra Krueger caught up with one of the authors Johnjoe Mcfadden to talk more about the book and the weird science of quantum biology. 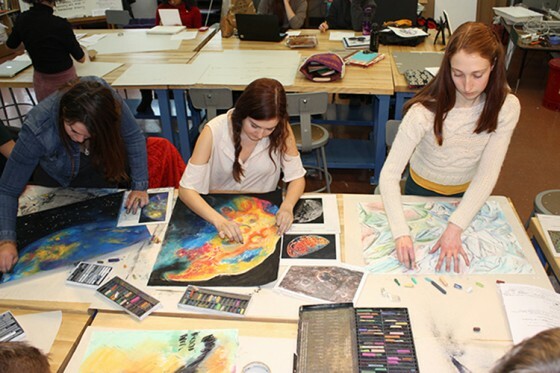 Monica Aiello is a visual artist who has worked with numerous scientific agencies to re-incorporate art into science. She and her husband work closely with earth scientists and NASA mission scientists, including scientists involved in NASA’s Voyager, Galileo, Messenger and Magellan missions. Their collaboration with scientists doesn’t just inform their art work, but is also part of their community outreach programs. Monica and Tyler Aiello’s work is featured in an upcoming exhibition called “Confluence” at the Space Gallery in Denver. Their work focuses on the Colorado River and the surrounding plateau. Here is an extended excerpt with Dr. Gerald Pollack, University of Washington professor of Bioengineering. We talk about what barriers exist for scientists in today’s community and a new resource for research to be evaluated in a rigours and open minded format. Einstein, Niels Bohr and Grandmothers…a Fairy Tale! An educator and perfomer, Len Barron first developed a piece about Einsteina and Bohr as a one man show, but then decided to evolve the project by enlist the help of 8 grandmothers to tell the story with their own added pizazz. Not only was lively performance produced, but a process and experience was shared. This process was captured by documentary film maker Robin Truesdale in a film coming to the Dairy Center this weekend entitled A Beautiful Equation. Both Robin and Len have joined us today in the studio to tell us more about the film, the process, the scientists and the grandmothers. Today’s special edition of How on Earth, brought to you in conjunction with this week’s Conference on World Affairs is a conversation on Biomimicy as a new lens to view science and technology with Margo Farnsworth. Margo has coached two Top Twelve graduate teams for the International Student Biomimicry Challenge and currently serves as a Biomimicry Institute education fellow. She is also on the board of both the Missouri Prairie Foundation and South Carolina’s Experience Green. She has worked as a park ranger, science teacher, and mammalogist. 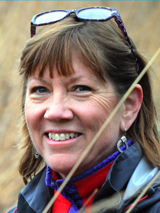 With degrees in science education and parks administration, her professional accomplishments include research in environmental education, qualitative mammal studies, and involvement in numerous local and state environmental boards and committees. Farnsworth has written pieces for the Center for Humans and Nature as well as Treehugger, and has two biomimicry book projects pending. She joins us live for an in-depth talk about how Biomimicry has the potential for changing scientific culture. ATLAS Institute Today we are joined in the studio with Mark Gross of the Alliance for Technology, Learning and Society institute at CU and Alicia Gibb Director of The Blow Things Up Lab, one of the spaces part of the ATLAS department. ATLAS was formed in 1997 as a university wide initiative to integrate information technology into social endeavour. Firefighters and Climate Change Snowy frigid weather here in February may put wildfires way on the back burner for many of us here in Colorado. But as fire managers have been telling us, wildfire season has become a year-round phenomenon. In the last decade or so wildfires have been getting more intense, and more dangerous, and more frequent. No one knows this better than the firefighters themselves. Climate change—making the region hotter and drier—has a lot to do with it. But so does fire management—namely, fire suppression over recent decades. And humans living in houses in the so-called wildland-urban interface is another culprit. A new documentary that will be screened in Boulder this week documents the changes taking place with wildfires and the impact they’re having. The film is called “Unacceptable Risk: Firefighters on the Front Lines of Climate Change.” One of the film’s creators, journalist Dan Glick, joins us in the studio. Dan was also the science editor of the National Climate Assessment that came out last year. Our other guest is Don Whittemore, a long-time firefighter. He was incident commander on the massive Fourmile Canyon Fire of September 2010. More about the film can be found at unacceptableriskfilm.org. The rightful place of science (starts at 6:22): In 2014, the world certainly saw more than a few costly weather disasters. Flooding in India and Pakistan in September killed more than 600 people and resulted in economic losses of more than $18 billion. Super Typhoon Rammasum, which hit the Philippines, China and Vietnam in July caused more than 200 deaths and losses of $6.5 billion. And, closer to home, in August, rainfall and flooding in Detroit, Baltimore and Long Island damaged homes and cities leading to economic losses of about $2 billion. At the same time, the United Nations Weather Agency states that 2014 was the warmest year on record. So, the question is: Are these natural disasters related to the warming climate? And are natural disasters becoming more costly because of climate change? 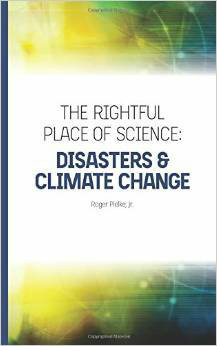 These are questions that Roger Pielke Jr., an environmental sciences professor at the University of Colorado, addresses in his new book “The Rightful Place of Science: Disasters and Climate Change.” He talks with HOE’s Jane Palmer about his book and why he believes it is important to maintain scientific integrity while engaging in the climate debate.